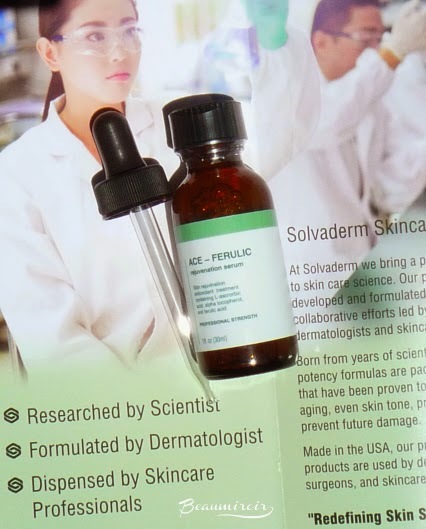 On my quest for the most effective anti-aging vitamin serum, I met Solvaderm ACE-Ferulic, that I was offered to test. 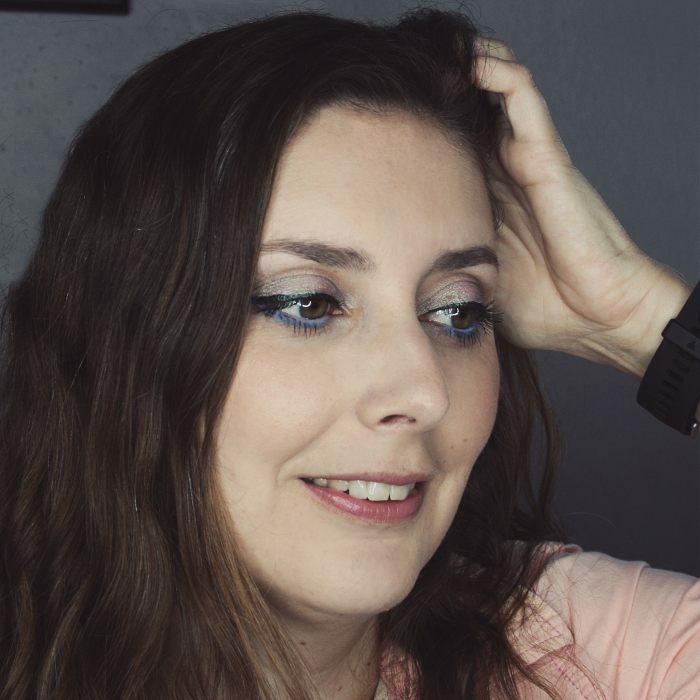 I didn't know Solvaderm before but I was immediately seduced by their scientific approach to skincare: "Redefining Skin Science", their motto, is a good indication of their commitment to scientific research to create effective and safe products. Solvaderm is clearly a "doctor brand", with a clinical approach to skin treatment and products that are entirely based on the effectiveness of their ingredients, exclusively sold in physician's offices and medical spas. No fancy packaging, magic mushroom extract or perfume-y products here, Solvaderm is not selling you dream (they leave that to the department store brands) but high standard formulas containing substances that have been proven to work in scientific studies. Their ACE-Ferulic serum is an antioxidant packed fluid containing vitamin C, E, B3 (Niacinamide), B5 (Panthenol) and Ferulic acid, but also ingredients that boost moisture level, glycerin, Sodium PCA and hyaluronic acid. Here's the full ingrediens list: Purified Water (Aqua), Ethoxydiglycol, L-Ascorbic Acid, Butylene Glycol, Glycerin, Laureth-23, Tocopherol, Ferulic Acid, Panthenol, Triethanolamine, Hyaluronic Acid, Sodium PCA, Niacinamide, Phenoxyethanol. Such a formula provides multiple benefits to the skin: by neutralizing free radicals, it reduces cellular damage caused by sun exposure and environmental stress, helps correct existing hyperpigmentation, promotes collagen production to maintain skin elasticity, nourishes skin with the moisturizing ingredients. Of course, it doesn't replace sunscreen - keep in mind that NOTHING other than sunscreen can protect your skin from harmful UV rays (together with avoiding excessive sun exposure). However, scientific research has demonstrated that using vitamins C and E together with sunscreen enhances the protection against sun damage. The same is true for ferulic acid, which also stabilizes vitamin E, making sure you get its full potency. So the best way to use this serum is in the morning, under a moisturizer containing SPF. The brand's clinical approach is apparent in the packaging and aspect of the product. The small brown glass bottle looks like it's coming from a pharmacy, and is sold with a dropper for easy use. The serum is of course fragrance-free, but it has a fairly strong odor that reminds me of a doctor's office or clinic - I guess that's what the ingredients naturally smell like! The serum itself is a heavy liquid that almost feels like dry oil. It's not greasy and penetrates well, but it has that slippery feel. I think it is best suited for normal to dry skins, as it can cause a bit of shine on the T-zone. After a couple weeks of daily use, I find that my skin is looking healthy, maybe a bit firmer, and there's clearly a difference on some sun spots that I have on the under-eye area. This is the kind of product that should be used for a long period for full benefits. In fact it's a good idea to incorporate a vitamin antioxidant serum in your skincare routine everyday, just like sunscreen. 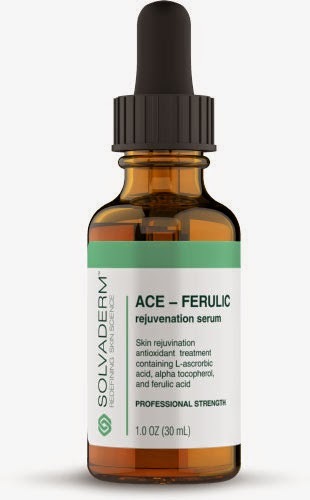 Overall: Solvaderm ACE-Ferulic serum is a solid product with an excellent formula based on scientific research. 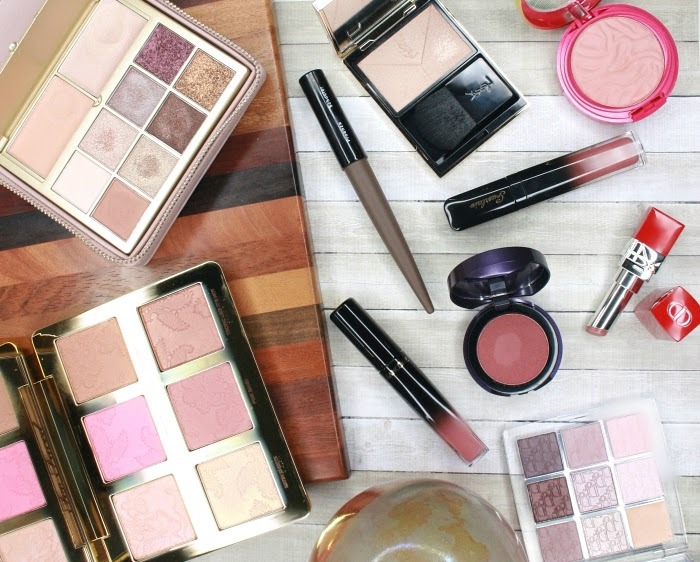 While it doesn't have the glamour of department store brands, it has all the good ingredients to be very effective, and none of the bad, irritating ones. Where to buy? At your dermatologist's office or at a medical spa, or on Solvaderm's website. At $109, the price feels a little high, however it is well below similar products by more mainstream brands. The product featured in this review was provided by the brand's PR through Brandbacker for consideration. I received no other compensation than a sample to write this post, which only reflects my personal opinion. This post does not contain affiliate links. The ingredient list sure reads impressive. It does, it's short and contains only what's necessary for good results. The formula sounds really fab! To the point and effective. Exactly! 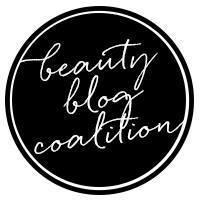 Do you use vitamin C skincare products?